Gain important insights into how much customer support costs you and track the time you spend on taking care of your clients. By client care, we understand the time you spend with the client, but can’t invoice them for it, such as having a business lunch together or meeting to learn about their marketing strategy for the coming year. If you track your time (i.e. the cost of your worked hours) only on your billable client projects, you won’t know the client’s true profitability. That’s why it’s important to track not only cost estimate preparation, but also the care you provide to the client on regular basis. When tracking client care, you can easily compare clients based on how much the care you provide them free of charge costs you. You may be surprised how much the care for smaller clients costs you when compared to the large ones. This can even make you share the numbers with your client in order to try and set up a regular client care fee. If you want to, these hours can be billed to the client with no profit margin, so that the deal is fair. 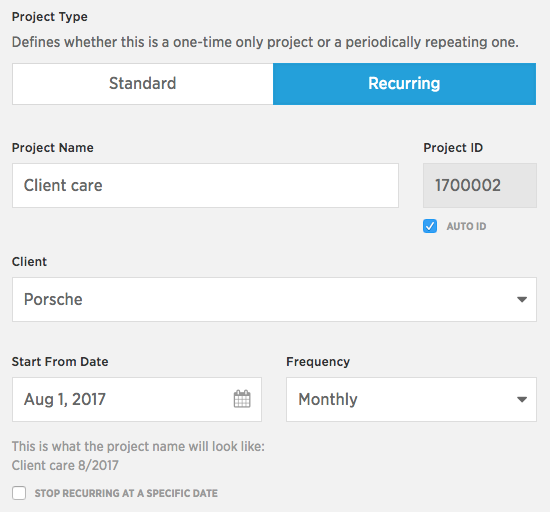 Because it’s not a one-off project, we recommend creating the Client care project as a RECURRING one, with a monthly frequency of duplication. Select the Finish automatically option. This will close the project by the end of the month, i.e. move it from running projects to finished projects. 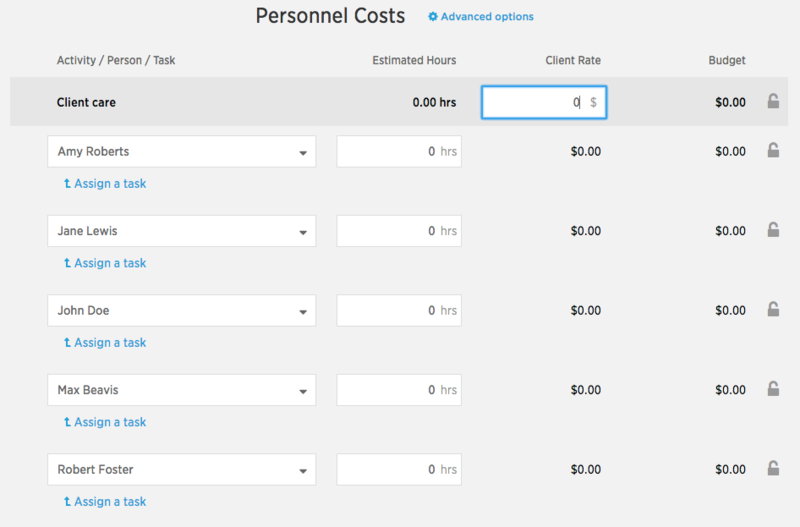 Tag the project with the Client care and Non-billable tags, so you can then compare clients based on the expenses that such care has cost you. Enter just one activity / role – Client care, and add all people under it. Leave the estimated hours and hourly rates at zero, as nothing of this will be billed. Skip the next step (Project expenses) by clicking the Skip button. All set! The project has been created and now everyone can track their time and generate worked hours costs. Paying for a client’s lunch? Here’s where to enter it. If you go to lunch with your client, don’t just record the time you spend there, but also how much you spend on the lunch itself. To do so, start editing the project by clicking the Edit project button. 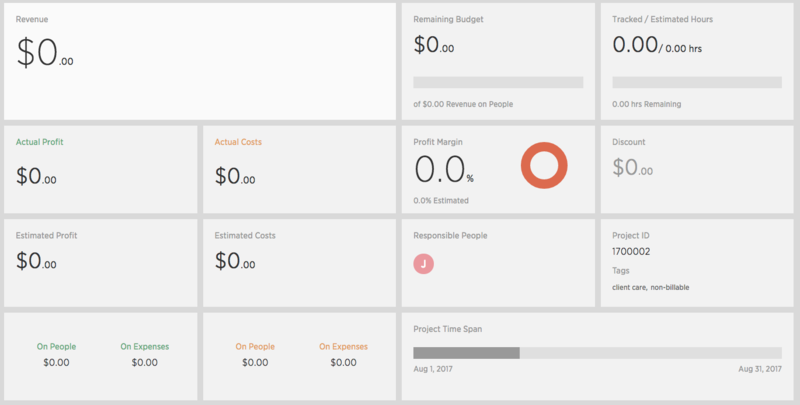 Next, click the Project expenses button and add a new external expense. Enter the lunch expense into the Purchased field and leave the Invoiced field at $0, as you’re not going to invoice this to the client.